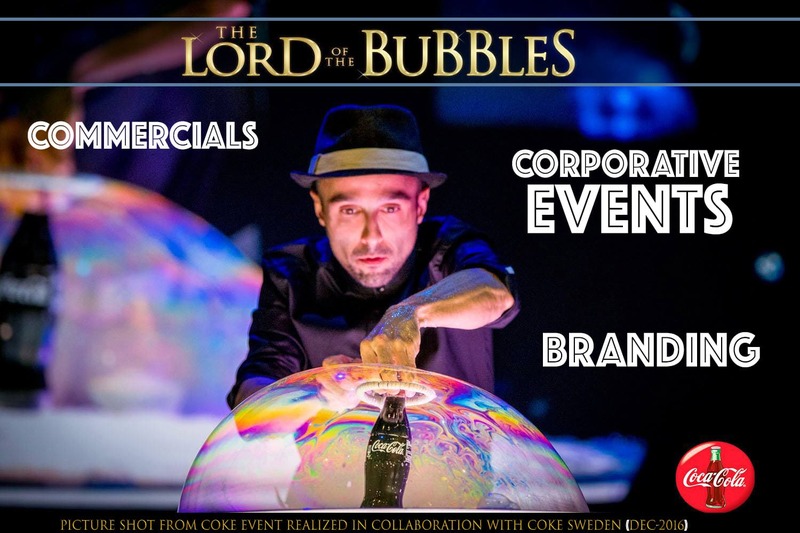 "The Lord Of The Bubbles" offers custom solutions to get optimal results working over all kind of corporative events, branding, new products launching, and even commercials actions. 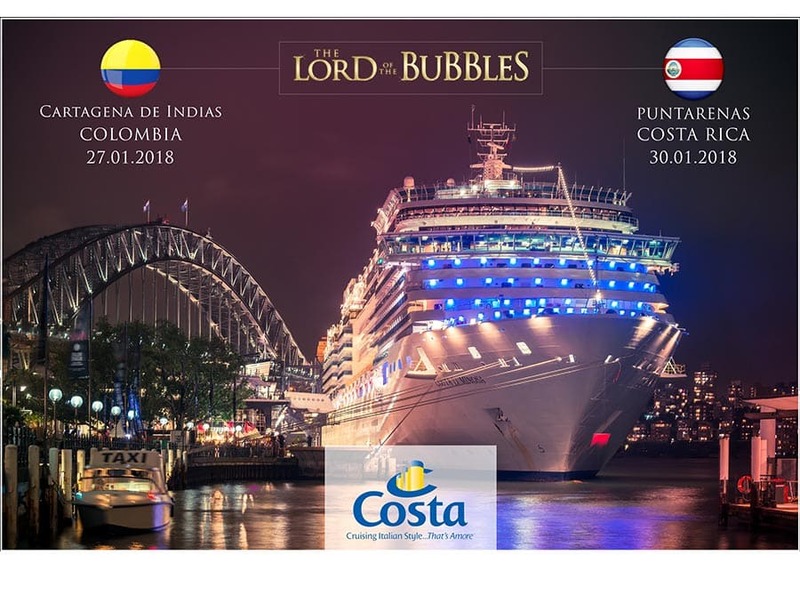 Our clients: Coca-Cola, Moet-Chandon, L'Oreal between others top class brands worldwide has been enjoyed our SPECIAL CUSTOMIZATIONS looking to satisfy all creative needs that every project requires. 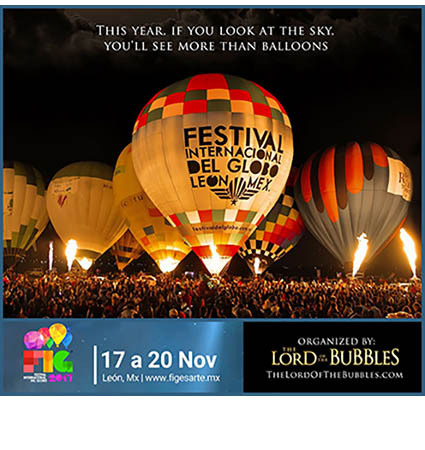 In less than 24 hours, we'll set up a very complete proposal with full details that will help you organize your event in a very successful way. 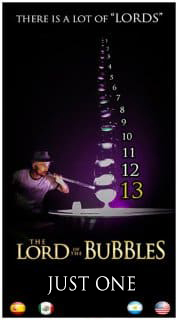 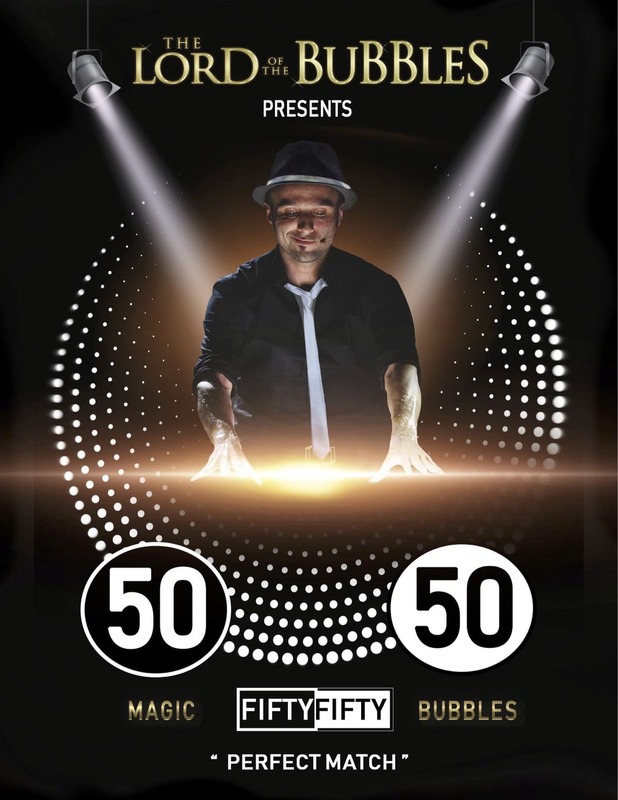 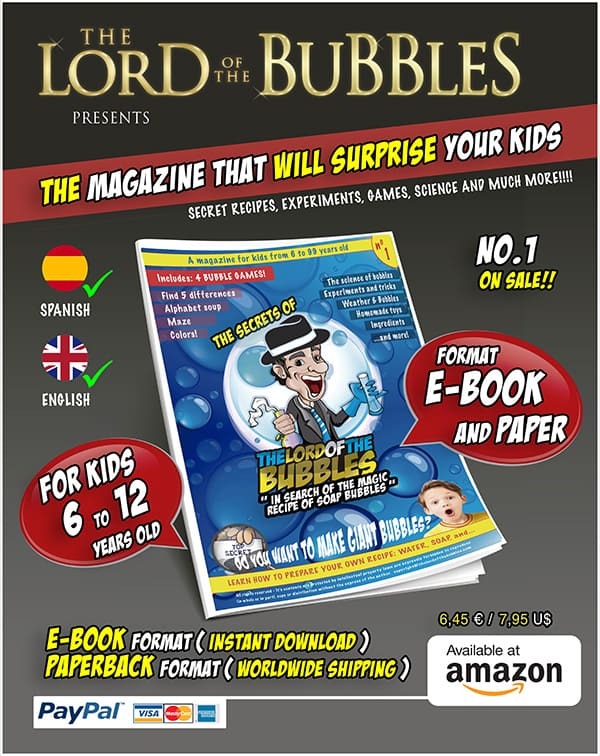 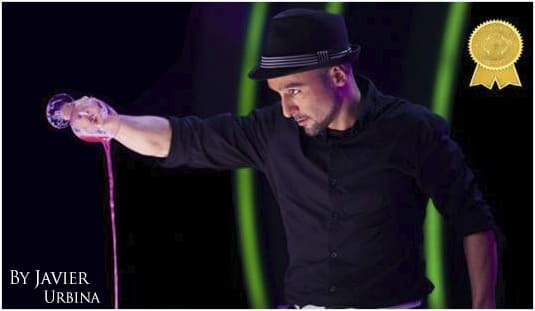 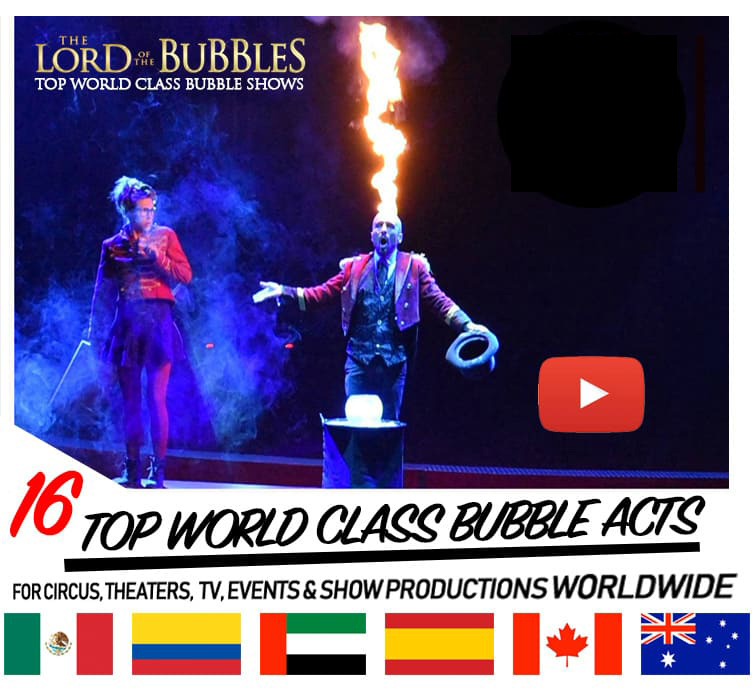 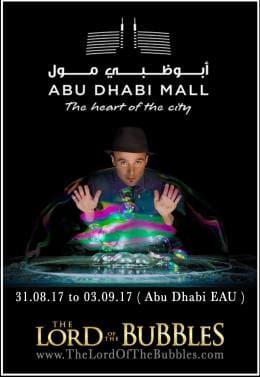 After traveling through many countries in Asia, Europe, Australia and America, for a VERY FIRST TIME "The Lord Of The Bubbles" show has been presented in the United Arab Emirates visiting Abu Dhabi in August-September 2017 in a very succesfull experience for the enjoyment of the whole family.